A risk assessment has been done and safety equipment (Ropes etc) and auxiliary tools is available on site for erection and dismantling the tower. The ground conditions will take the working load as specified. The location of the tower should be checked to prevent hazards during erection, dismantling, moving and while working on the tower. Ground condition level and slope, obstruction and wind condition should be checked. Always check that the tower is vertical, use a spirit level to ensure that tower is vertical and is leveled (Check the level in both horizontal direction). Adjust the wheel legs if necessary to keep the tower balance on the ground. Beware of overhead obstruction-live wires, hanging apparatus (moving parts or machinery or other objects) Permissible load according to scaffold load group is 200kg/m². Beware of tunneling effect caused by open ended buildings, uncladded buildings and building corners. A person should be competent or supervised by competent person for working on Aluminum mobile tower and for assembling, dismantling or significantly altering. Minimum 2-3 persons are required to safely erect and dismantle the tower. Do not place boxes, ladders etc on the platform to extend the working height. BS 1139 (HD 1004) requires maximum vertical distance between different platform of 4 mtr. 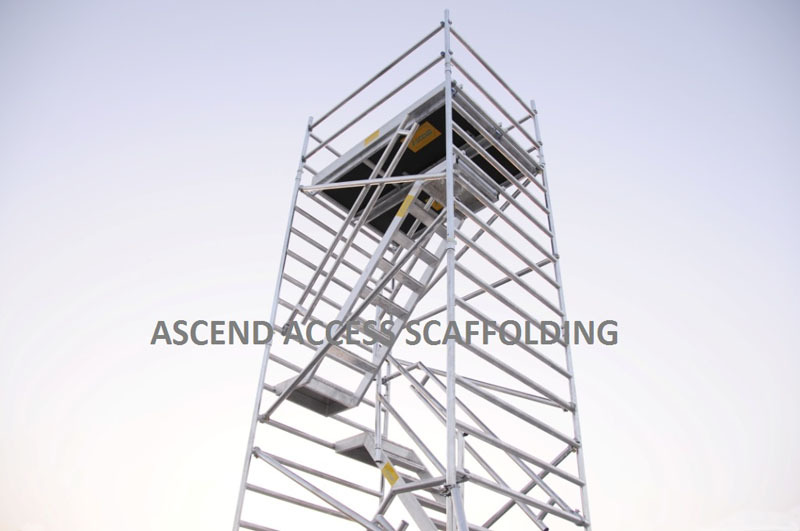 We recommend that you use extra platform while erecting and dismantling the tower. When lifting materials or components always use reliable lifting materials to ensure there is no possibility of its falling. Always lift from within the tower base. Components are normally hoisted using a rope. Never place the working platform on the guardrail frame. Always keep double height guardrails at each platform levels, never stand on an unguarded platform. Check that all components are on site and they are in good working order before use. Never mix parts or components from other manufactures. Damaged component should be replaced with the new components. The tower should always be accessed from the inside using the ladder frame, never climb up from the outside. Ensure that the locking hooks on platform are functioning correctly. Do not use horizontal or diagonal braces as a rung or step. Beware of horizontal forces (e.g. When using power tools), which could generate instability or overturning of the tower. Maximum horizontal force 20 kg. Dont move with people or material on the tower, remove all tools from working platform. Do not move the assembled tower if over 4 mtr. The wind force should not exceed force 4. Move the tower by applying force from the base. Ensure that the frame interlock clips are fitted properly. According to HD 1004 the double width tower must not be exceeded 12 mtr to top platform for indoor use and 8 Mtr platform height (working height 10 Mtr) for outdoor use. For single width tower maximum working height for both interior and exterior work is 8 Mtr. 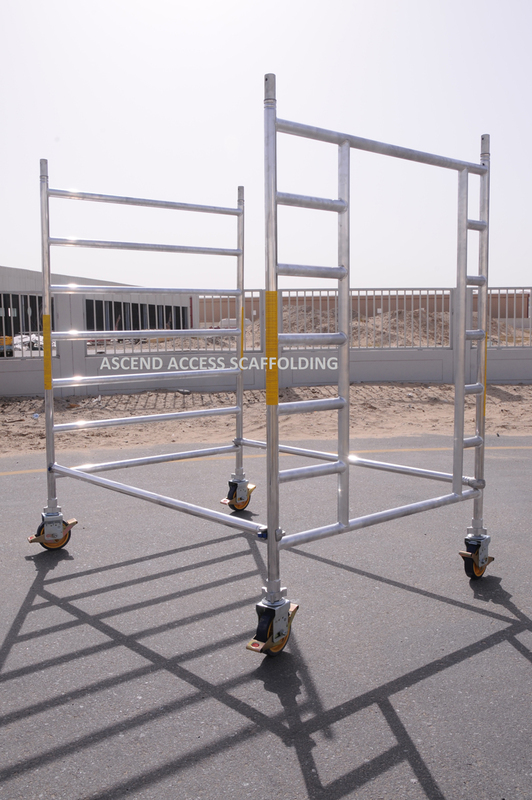 If the platform height reaches more than 6 Mtr for single width and 8 mtr for the double width scaffold, then it should be secured against the wall prior to use. Always tie to a solid structure, while tying the tower attach a tie at 4 mtr interval. The maximum working load on the Ascend span 50 is 750 kgs for overall structure (including tower self weight) and 250 kgs evenly distributed on the platform. This must not be exceeded. The safe working load at each level of platform is 360 kg evenly distributed. Therefore, if two platforms are installed side by side, total cumulative load shall not exceed 360kg distributed. Do not overload the scaffolding tower. Stabilizer should always be fitted and should be on firm contact with the ground. The tower is not designed to be lifted or suspended as a complete structure. 4 18 29 Moderate breeze- Wind raises dust add loose paper. 6 34 50 Strong breeze- Difficult to use umbrella. 8 46 74 Gale force-Walking is difficult. When wind is expected to reach force 6, tie tower to a rigid structure. If wind of 8 or greater is forecast dismantle the tower. Keep all equipment clean, specially spigots where frames are connected together, please check that spigots are firm in to position and should fit easily into frames. Lubricate with light oil. All components should be inspected before use to ensure that they are not damaged or broken, particularly the welds. Any damage to any part particularly tubular member, castors, platform decking must be replaced. Do not strike or hammer components. Adjustable leg threads should be cleaned and lightly oiled to keep them free running. All locking claws should be cleaned and the locking mechanism checked for operation. Lightly oil spring mechanism of the hooks. Store the components in a safe place and do not throw the components, always lower them to the ground. If paint gets on the scaffold, it can be removed with turpentine. Electrical devices (drills, etc.) 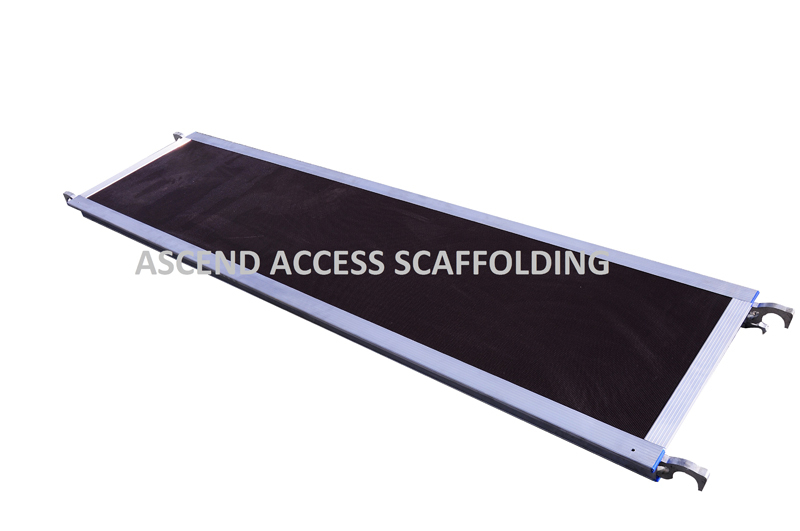 may only be operated on the scaffold with protection low voltage (48V), with protective isolation (separation transformer). Work on or in the proximity of unprotected live systems, may not be carried out using the scaffold if there is voltage in the system component. The system components are not isolated against adjacent live parts. 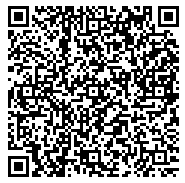 To dismantle follow the build process but in reverse order, noting the following. To remove the guardrail frames or braces first unlock the hook at the end away from the trapdoor. Sitting through the trapdoor, unlock the near end hook and remove the brace. Do not remove diagonal brace and stabilizers prematurely. Never Drop components when dismantling always lower them to the ground. Check that there are no power lines or the obstruction overhead. When moving a tower, reduce the height to a maximum of 4mtr. Raise the stabilizer feet only enough to clear obstructions. Ensure there is no material or personnel on the tower. Move the tower manually by applying force at the base. Once moved, prepare the tower for use. Check the route is firm, level and free from potholes. 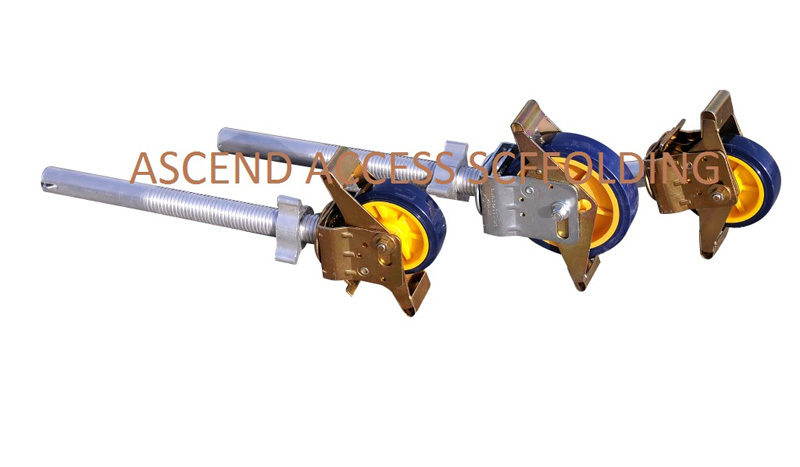 Check all casters and stabilizers are in firm contact with the ground. Reapply the brake. 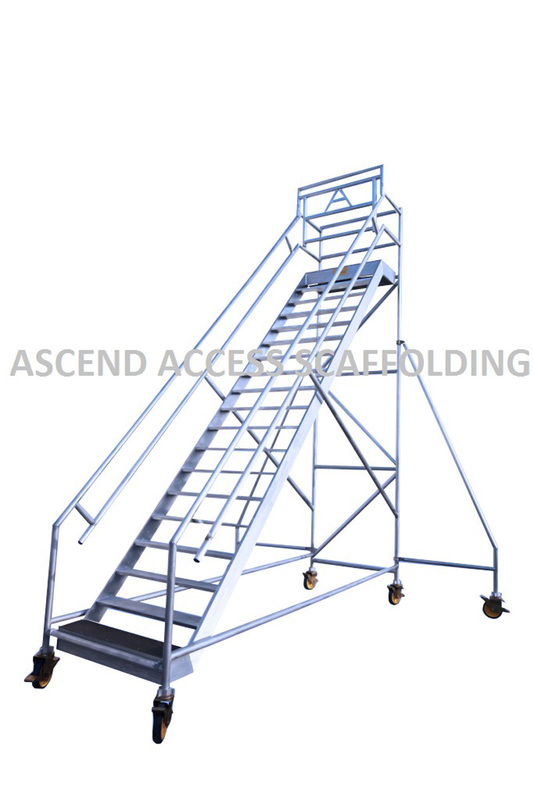 Check tower is vertical (spirit level) and adjust legs if required. Always move the platform lengthwise or diagonally to ensure maximum stability. Grease all moving parts (spindle, swivel castor bearing and catches) with commercial oil. For use in the winter, use low viscosity oil. Wipe off excess oil. Storage must be in a manner such that damage to the unit is excluded. 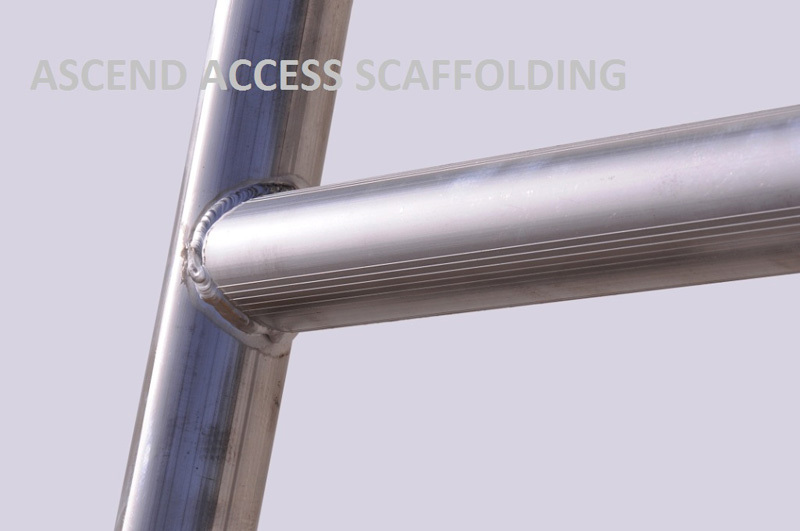 The scaffold components must be stored so that they are protected against the effects of weather. 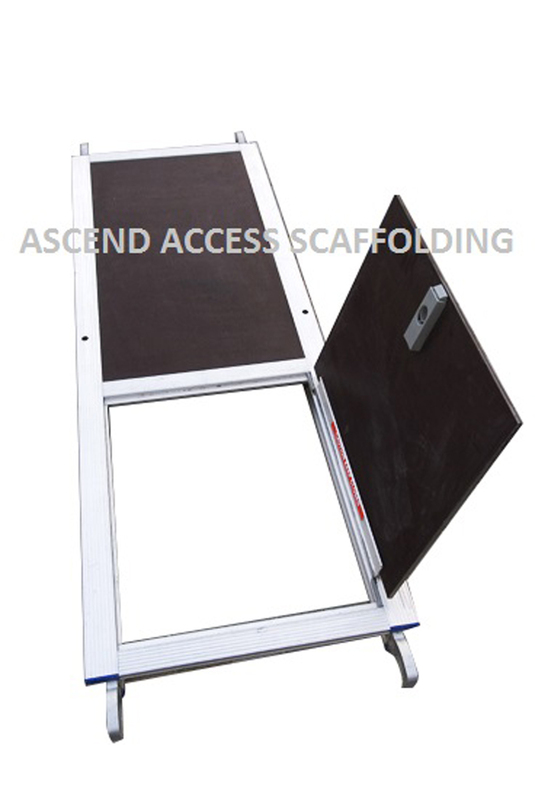 During transport to or from the storage location, the scaffold components must be secured against slipping and bumping as well as falling down. 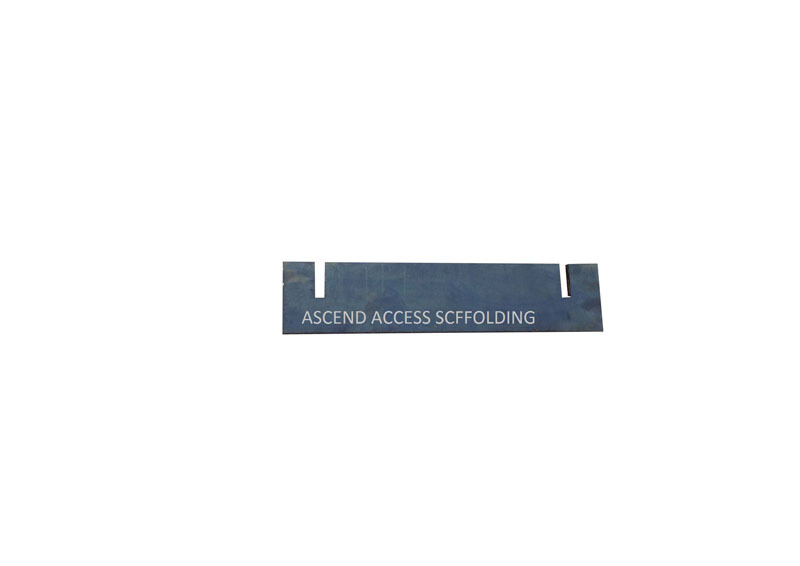 When loading, the scaffold components should not be thrown. Always install the trapdoor platform over the ladder (if one is fitted). Ensure the trapdoor hinges opens to the outside of the tower (not the center). Once the platform has been installed, climb using the approved method and sit on the trapdoor opening. While seated, attach horizontal braces to the frame to form guardrails from both the sides of the platform. Two braces are normally required each side, only then platform is fully guarded and is safe to stand up.